The truth is that people have become more comfortable with mobile commerce apps. This became the talk of the town when the US’s 2018 Black Friday Cyber Monday (BFCM) boasted $6.2 billion in revenue, up by almost 23% compared to the previous year. One-third (or $2.1 billion) of the sales came from mobile devices. The Shopify Team also recorded a huge jump in mobile transactions during the BFCM season. 600,000 Shopify’s merchants generated $1.5 billion in sales with 66% of purchases made via mobile phones and 34% via desktop. This was partly because the merchants focused on mobile-first preferences and a wide variety of payment methods (Apple Pay, Google Pay, and Shopify Pay). That said, when ecommerce software development is in its discovery phase, one should clearly define feature scope to ensure the app will make the cut. Let’s dive right in and discover what improves the conversion rates of mobile commerce apps and which m commerce technologies can win the long-term loyalty of consumers. It’s worthwhile to learn from top-grade e commerce applications. Below, you’ll find a list of the leading m commerce apps featured in Google’s Play Store. Wish’s shopping app places first. Today, it boasts over 100 million downloads and an average satisfaction score of 4.5. This m commerce app functionality includes a simple signup; a handy item search with a good filter logic and related products for impulsive buying; push notifications with personalized promos; various payment methods, including e-wallets, PayPal, Amazon Pay, credit, and debit cards. a separate mobile commerce app for merchants and wholesalers to handle their inventory, products, etc. These features engage users, but they do not impact a mobile app conversion rate at wider scale. In its latest report, Qubit claims that page loading speed and product discovery are primary factors that influence buying decisions. The slower a page loads, the lower the conversion of mcommerce apps becomes. Google has long been encouraging website and mobile app owners to optimize for speed, especially after a mobile-first index was launched in 2018. Not all mobile users have a smooth internet connection and powerful mobile devices, so load tests must be run in harsh conditions. BigCommerce suggests using a variety of tools to give a big picture: Page Speed Insights for both desktop and mobile speed testing, Test My Site to assess time to interaction via a 3G connection, and Pingdom to run website performance tests that return lists with bottlenecks to work on. To boost app efficiency, m commerce companies must conduct ongoing feature audits. The Capital One banking app is a good mcommerce app example, rolling out upgrades on a regular basis. 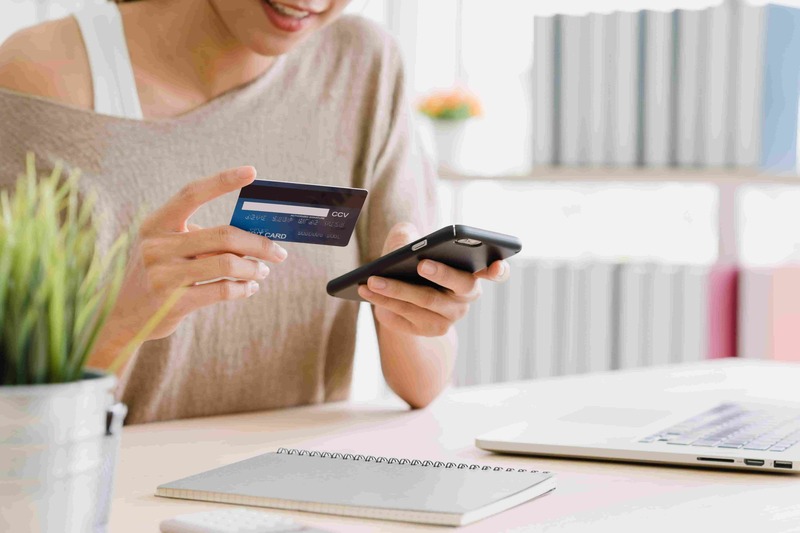 Because they’re aiming to create a simplified user journey, they have enabled a quick sign-in feature through Fingerprint or SureSwipe® as well as a real-time credit card monitoring with instant purchase notifications. What other enhancements can attract more users to mobile commerce apps? Let’s proceed to our major findings. Efficient mcommerce apps must be simple and handy. To achieve the desired effect, mcommerce companies, or mobile commerce software providers, should carefully plan app navigation and design. Most people hold devices in one hand, which is why app functionality must be tailored to both right and left-handed users. Natural thumb reach is limited, therefore top-priority elements must be placed in the center of the application to avoid inaccurate tapping. Thus, the add-to-cart or pay buttons may be placed right in the center. When planning tier 3 functionality, it is worth following another simple UX rule: no more than three taps to take a user to the place of destination. If it is a shopping app, then this menu structure would be a good fit: categories / subcategories / products. A search bar alone is another essential design element that has a positive impact on mcommerce app add-to-cart rates. It’s widely recommended to use predefined navigation elements to prevent any confusion. Generally, signups should not be mandatory, but they do require reading a statement on personal data processing. It is a good practice to let a user make purchases as a guest and sign up only when he or she is willing to do so. The signup form itself must be straightforward: an email and password to fill in, or a one-click registration via social media accounts. A well-thought-out search makes a huge difference. When combined together with autocomplete, highlighting, and a spell checker, it becomes a real time saver for users and increases conversion of mobile commerce apps. The question is whether you need to add something extra like visual search. Even though people have not fully accustomed to searching with images yet, the trend is growing. Hootsuite asserts that Pinterest’s visual searches have doubled since 2017, going up to 600 million visual searches by February 2018. Lately, more mcommerce app users are requesting a visual search feature if an app does not support it. The idea behind it is pretty clear – users take a photo of a barcode, scan QR codes, or pictures of products and proceed to the catalog. Voice search also shows big promise. Walmart and Target are teaming up with Google’s voice assistant, while Amazon goes all out to win other brands with Alexa. In his interview to CNBC, Devin Wenig, eBay’s CEO, said that there has been a shift from text to voice and images. Voice searches are also an invaluable source of analytics. The mcommerce technology allows customizing user experience by analyzing search queries and personalize searched items. Augmented reality (AR) is the next big thing that’s being widely talked about in the ecommerce field. This m commerce technology is now being adopted by famous retailers and the result is stunning. IKEA is not the sole adopter of AR, of course. In 2018, Shopify rolled out an AR product image creation feature that allowed its merchants to design 3D models of products to be sold. These tools are affordable for all retailers, no matter their size. Amazon is also keeping up with the pace. Its AR View mcommerce app functions similarly to IKEA’s. Shoppers can browse thousands of new items and place them anywhere in their home. These m commerce technologies are being used to enhance personalization and automate the routine tasks handled by a help desk. Searches on machine learning fetch far more accurate results. Together with artificial intelligence, they are now applied to chatbots resolving customer care issues, handling transactions, and providing recommendations. Thus, Facebook Messenger allows retailers to process payments without forcing customers to quit the messenger. Here are more chatbot use cases. Some of them are likely to find application in mcommerce apps. Need more chatbot mcommerce examples? H&M has launched such a shopping assistant. It helps customers create a nice outfit based on one piece of clothing uploaded and guide them all the way to purchase. Starbucks also allows orders to be placed via text messages or voice, while a chatbot informs customers about the order status and cost. Furthermore, there are multitudes of standalone chatbots, like Tidio, which can integrate with marketplaces to support customers. The benefits of chatbots are plentiful, including instant and timely support, increased sales, error prevention, better customer satisfaction level, and analytics built around customer preferences. The barriers to mobile commerce software development have never been so low. Even if your company has no tech specialists to develop a mobile commerce app from scratch, you can reach out to digital solution providers, like Innovecs, and have the app delivered within a set time and budget. Even if you have no clear idea for an mcommerce app, we can help spark some thoughts and transform it into a ready-to-go concept backed up by MVP. Just drop us a line in the contact form below and receive detailed practical advice for mobile commerce software development. Need a robust mobile commerce app?